Little kids love getting messy and making something fun. But, there’s no reason to stop being creative at the age of thirteen. Teens and young adults benefit from crafting in the following ways. Helps to Create a Positive Identity – The sense of self is enhanced by the personal process of creating something. Soothes Teenage Angst – Crafts can serve as mental yoga and provide teens with an activity that is mindful and calming. Brings Imagination to the Fore – Crafts encourage teens to explore different creative ideas. Develops Focus – To succeed at a craft requires strong focus and attention to detail. Builds Confidence – Seeing a craft through from beginning to end provides a sense of pride and accomplishment. Encourages Perseverance – A craft can be difficult to learn and delivers a healthy challenge to a teen. Unfortunately, arts and crafts programs are being eliminated or downsized in many schools. When young adults get to high school, they may only need one arts credit in order to graduate. Apart from pursuing a craft at home, students can often find interesting crafts programs at their local library. Take a look at what programs The American Library Association suggests libraries get involved with. Check out the libraries near you or talk to your library about setting up a crafts itinerary. Click here for a list of Arizona public libraries offering crafts programs. As well as your local library, there may be a summer camp with interesting arts and crafts programs. Many teens enjoy pottery classes. Pottery involves more than just mixing clay, water, and other additives. It’s a craft that provides teens and young adults with a creative, relaxing outlet to make something unique. They can mold clay with just their hands, or learn to “throw” a pot or a bowl using a wheel. The resulting creation can be glazed and baked in a kiln. Check out the area where you live for pottery programs designed for teens and young adults. Here’s some help on finding pottery classes in the Phoenix area. How do I Get My Teen Interested in a Craft? 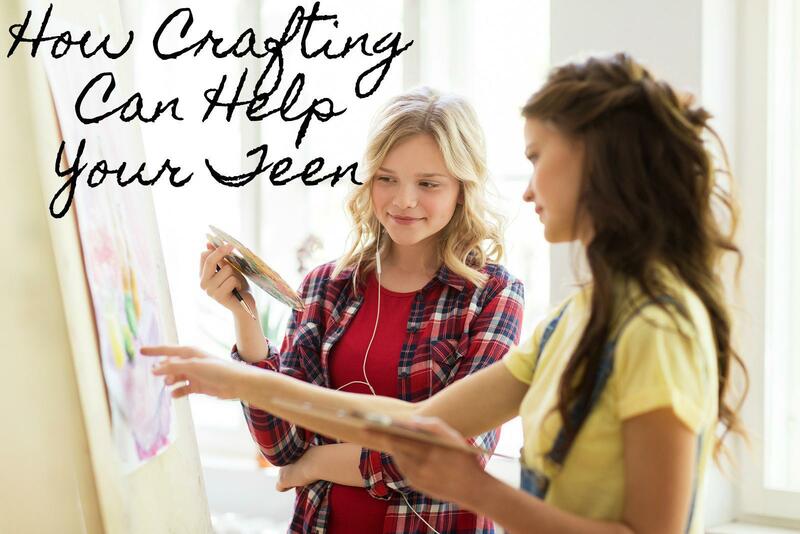 Taking up a craft can enrich a teenager’s life. However, as I’m sure you know, it’s impossible to force a teen into a hobby. So, use some insight and gentle guidance to help your teen explore the idea of crafting and find the craft that most excites them. Asking a teen “what would you like to do?” is too vague and broad. Bring up the subject of crafting, ask your teen to think about it, and then bring the question up again later. Try not to go from being insightful and helpful to suffocating and nagging. Mention possible enjoyable activities, but don’t succumb to harping on them constantly. Most teens resent being pushed into things, so it may take some finesse to coax an adolescent into pursuing a craft you think they will enjoy. You could try passing along online suggestions like this one. Once a teen has expressed an interest in a craft, give them your full support and provide them with any necessary materials. If the teen needs space at home to pursue the craft, make sure there’s an area in your house where they can be creative. And, never chastise them for making a mess. Do You Have a Teen with Issues? We hope that your teen is involved in an engaging hobby of some sort. However, if your teen is suffering from a problem that you find difficult to cope with, it’s unlikely that you’ll be able to get them involved with a craft. Whatever the issue, Doorways is here to help you and your teen or young adult. We specialize in services for those aged 13-25 in the Phoenix area. Arrange a consultation with us to see how we can help you.